A haven for adventure enthusiasts, travel junkies and serenity seekers, Australia is famous for a number of reasons. A trip to Australia comes with bundle experiences which are to be cherished forever. Besides admiring scenic beauty one can enjoy thrilling adventures, amazing train journeys and savoring world-class cuisines. Choose from a wide range of Australia tour packages and get ready for a memorable sojourn. 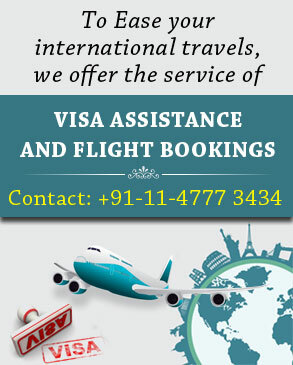 Go through a variety of itineraries which appeal to almost all travelers with their personal needs and preferences. Although small yet Australia is the most sought-after holiday destination in the world. Take a tour to experience what surprises the country has in store for you. During your Australia holidays, you get to witness a perfect mélange of exotic wildlife, beguiling scenery, stunning attractions and so on. Add to it, partaking in adventure sports and exploring diving destinations to make your trip memorable. Hailed as the ‘Land of Kangaroos’, the amazing country lures beach lovers, nature enthusiasts and party freaks from worldwide. Our experts put in lots of efforts to make your Australia travel convenient. With years of experience, they suggest the best packages for you. Whether you are a couple, traveling with your family or looking for a solo offbeat vacation, we’re happy to help. Be it a long trip or short, an active holiday or a relaxing stay or whatever your travel style may be; we can plan everything easily. Plan an Australia tour and you will be enchanted by its impressive diversity, urging you to spend a lifetime here. Cherishing Australia's coastal and aquatic experiences, distinctive nature, wine and food are some of the major highlights of your sojourn. Partaking in a plethora of marine and fun activities is an added plus and raises the fun quotient to the next level. Sparkling skyscrapers, sunny climate, numerous theme parks, vibrant nightlife and thriving, subtropical hinterland of the rainforest make it ideal for honeymooners. Also, the attractive and lively vibe of Gold Coast, make it feature in the Australia honeymoon packages. A tour to this spectacular destination is all about exploring pristine beaches, spectacular rainforest and natural beauty ranging from Outback to Uluru. Book an Australia tour from India and learn more about quirkiest wildlife on the planet, red deserts and beautiful coral reefs. Home to one of the world’s oldest living cultures, the country certainly has something to attract you. Additionally, the idea of celebrating life in Australia is sure to leave you in a state of awe. Tell us when you want to travel and our professional Australia trip planner will ensure an organized, planned and hassle-free holiday experience. The itinerary will be specially crafted to cater to all your major needs and requirements. Be it comfortable accommodations, sightseeing tours, or anything you can envision of, your package will include them all. Just pack your bags and get ready for a trip of a lifetime.